For quite a while there has been Hotspot Shield free. AnchorFree, the company behind the aforementioned free VPN, has brought out a new version. Hotspot Elite is their paid-up offering which brings much more. As it has been around for a while in the free version, what is Hotspot Shield Elite offering which is different from other VPN services. Also while researching this Hotspot Shield Elite review, we found a few things out. 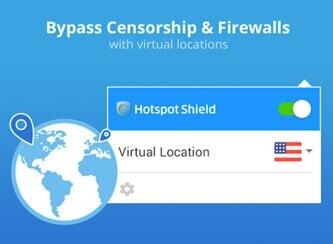 Is Hotspot Shield safe to use? All will be explained later. 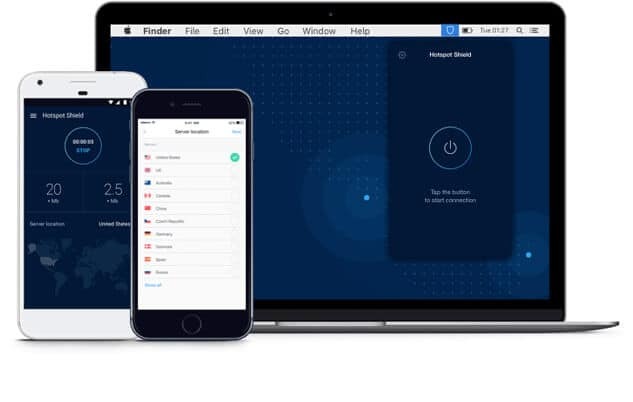 The company has taken a leaf out of other market-leading VPN providers and made the interface slick and easy to use. Once you have downloaded and installed it, you can easily see if your connection is on or off and you are connected to a VPN server. All the way through our hotspot shield VPN review we maintained good downloads speeds which are among some of the fastest we have tested. Hotspot Shield works on a few platforms, but it isn’t supported on Xbox, PlayStation, routers or TV’s which might be a limiting factor for some. Apart from Windows, MacOS, Android, and iOS, it has proxy extensions available for Firefox and Chrome. These aren’t up to the applications full security but are good to use when out and about. When in use it allows 5 connections and removing one to add another is simple enough. With servers located in 25 countries, there is plenty of coverage which will enable users to access Hulu or use social media from geographic blocked countries. Another plus is Hotspot Shield Netflix support is okay at present, so picking your favorite programs is easy. Much the same can be said for P2P downloads and torrenting which are both allowed. 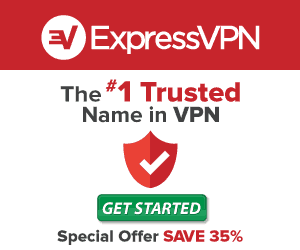 If you are in the need of a VPN and are looking for a feature list. Hotspot Shield isn’t the one. It works out of the box and by default it is set to run as soon as windows starts. It is also set to prevent any IP leaks during its operation. Another feature which is set to auto is the connection of unsafe Wi-Fi hotspots. If there is an open network, it automatically kicks in and protects your connection. AnchorFree states that Hotspot Shield performs actions in the background. Intercepting Malware as well as providing protection against spam and phishing sites. These are handy as they require no further software installations. The final feature is your IP address is masked which makes your VPN connection seem as if you’re browsing the internet normally. This is useful as more places are clamping down on the usage of VPN’s and their ability to access specific things. If you make a Hotspot Shield download free and expect to continue without paying anything, you might have a little shock. With the Elite version you are automatically charged the monthly rate as the company presumes you are happy with the service. If you wish to cancel, you need to do so quickly, or you need to choose one of the sign-up options rather than paying monthly. The Elite version provides unlimited bandwidth and multiple connections for a set fee which works out expensive. When you sign up for 6 months, you can save 31% on the rate or a 53% saving if you sign up for 12 months. Hotspot Shield also includes a lifetime one-off fee for $119.99 which more than pays for itself if you find the service meeting your needs. Anonymity isn’t possible with Hotspot Shield as there are no options to pay with Bitcoin or cash. They do accept all major credit cards and also offer a 45-day money back guarantee if you wish to cancel. The support side of things is also a bit of a disappointment considering you are paying for the Elite service. With no live chat and only a support ticket option, you are advised to begin checking the knowledge base they provide while you’re waiting. Saying this, it is limited in its offering, so any in-depth problem, and you might be out of luck. To sum up the experience with Hotspot Shield Elite, it is easy to say it is fast and has enough coverage globally for extreme locations not to be much of a concern. This includes apps you use and which sites you visit along with hardware, OS mobile network and so forth. The company states they never use or will hand over user data, and it is only used for troubleshooting and analytics. But being based in a 5-eyes region, they might not have the chance to keep things away from prying eyes. As an aside, if you use the ad-supported free safe VPN version of Hotspot Shield, you might find your information is leaked to advertisers who use their platform. Although this has little to do with the Elite version, it’s a good reminder of why not to use an ad-supported VPN. As a first attempt at a premium package, Hotspot Shield has learned quite a bit from their free offering. Fast speeds and unlimited data might appeal to some. However, the individuals who seek full anonymity might feel let down by the company’s collection of some data, and even if they say they won’t use it or hand it over.